Designed to fit perfectly into athe 6' 6" box of a pick up truck. 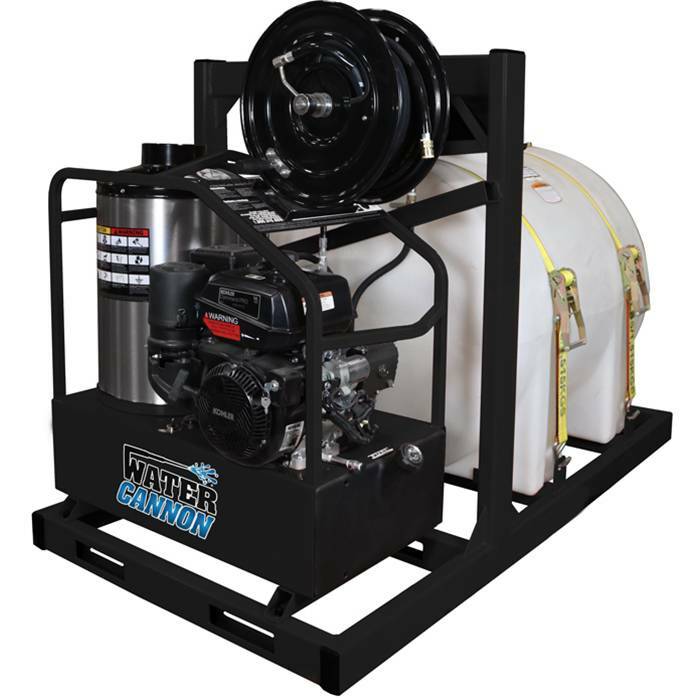 The Easy Kleen Portable Skid Unit is a totally self-contained system that allows for 100% portable cleaning. These units have been designed to fit perfectly into the 6 Foot 6 Inch box of a pickup truck. Forklift slots and a lifting eye make loading this unit easy and efficient. There is also a built in winterization system which makes year round cleaning and transportation possible.